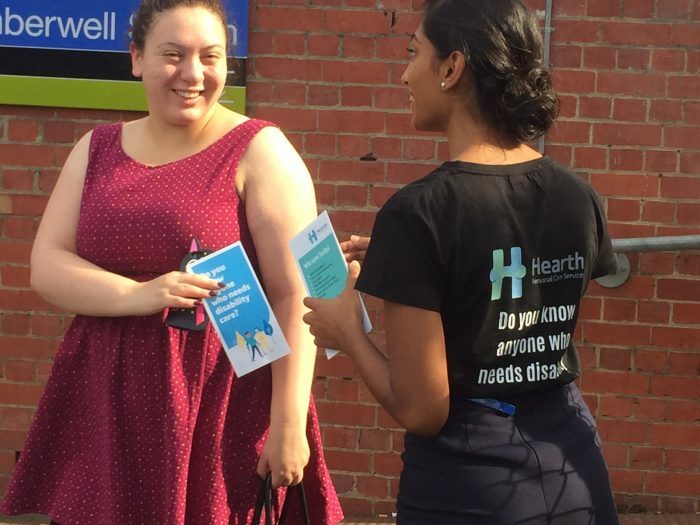 There’s a buzz around Hearth right now, ahead of one of the year’s biggest gatherings of community and disability support providers in Victoria. It will be our first time at the Our Choice Expo in Caulfield, and we are looking forward to seeing as many of you as possible to tell you all about how we want to make a difference to lives. So be sure to make time to meet us at Caulfield Racecourse on Tuesday 21st November. We will be one of over a hundred and twenty exhibitors, all showcasing areas of disability support including personal care (our specialty! ), equipment, early intervention, housing, technology, leisure and more. 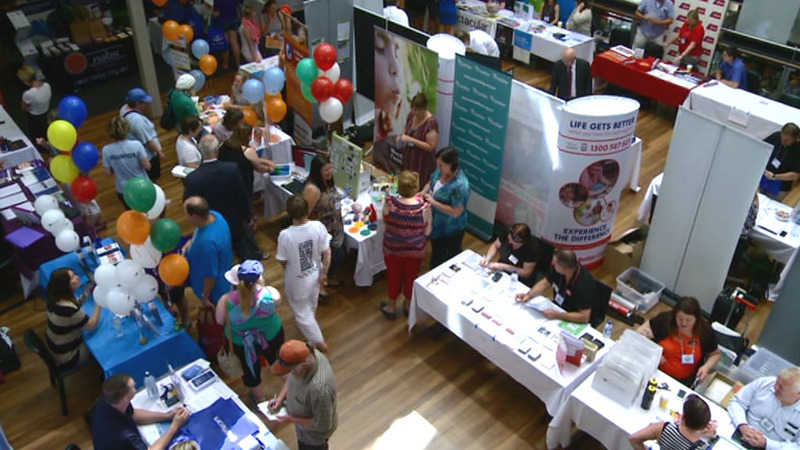 The National Disability Insurance Scheme (NDIS) is being rolled out across Victoria right now so the Expo will be important for many in the community preparing to access the NDIS as well as putting their approved plans to work. For Hearth founder Justin Scanlon, it is important that the Expo brings to life key pillars of NDIS – choice and control. Rashmika, one of our Relationship Managers pointed to the role the Expo could play in removing some uncertainties during this important time of change. But what about having to visit the one hundred plus different stands? Could it not be a bit much? Not at all according to Nellie, Head of our Relationship Managers at Hearth. She says the Expo is one of the platforms where Australians with a disability are able realise what the NDIS offers. Of course, one thing is for sure – Nellie and Rashmika are clear they want as many people as possible to choose Hearth. “I believe that at Hearth we have a very unique approach to providing care. We place value and a high emphasis on the individual and their family,” Rashmika says. It is just this type of vigour in his team which energises Justin Scanlon. “Based on my personal experience, I founded Hearth to make a big difference to not only my family situation, but also to many other families,” he says. 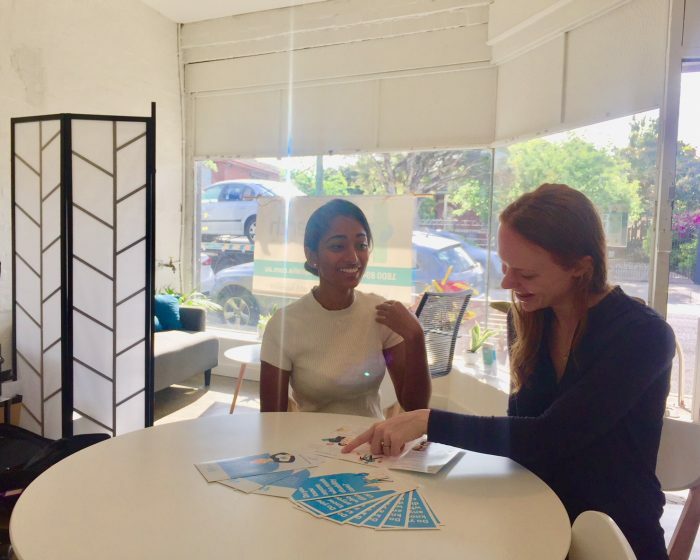 The Hearth team is hoping that the meetings which families and individuals with a disability have with them and indeed other disability service providers at the Expo make a difference. 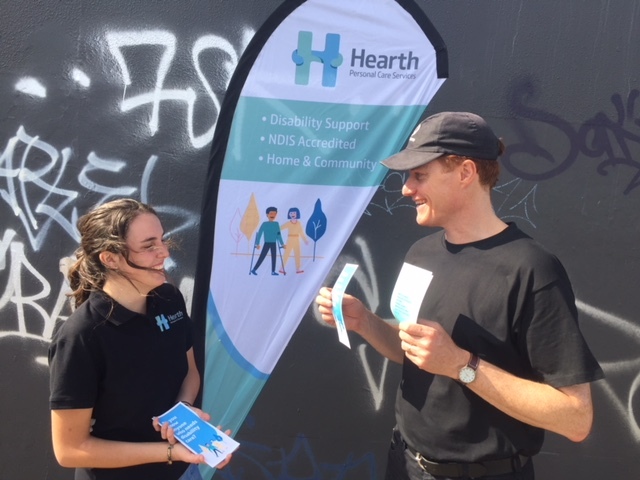 At the Hearth stand, we will provide information about our services as well as special events we are organising with sector experts including the upcoming free Q & A public forum on NDIS. Rashmika says it’s important that everyone feels genuinely supported. For Nellie it’s all about a true sense of choice which NDIS promises. More information about the Our Choice Expo organised by Valid in association with Nexus Primary Health and the Mitchell Shire, visit the Seymour NDIS Expo on the 29th November 2018.